In part 1 of this series of posts, I went over creating an envelope detector that detects both peak amplitude and RMS values. In part 2, I used it to create a compressor/limiter. There were two common features missing from that compressor plug-in, however, that I will go over in this final part: soft knee and lookahead. Also, as I have stated in the previous parts, this effect is being created with Unity in mind, but the theory and code is easily adaptable to other uses. 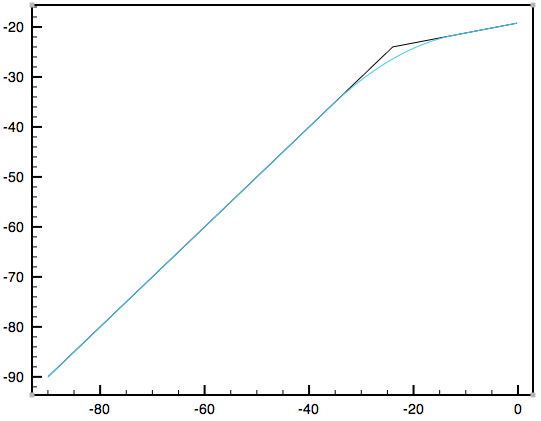 public float preGain = 0f;			// in dB, amplifies the audio signal prior to envelope detection. 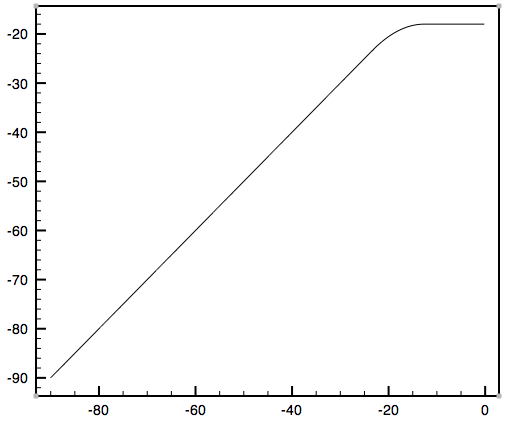 public float postGain = 0f;			// in dB, amplifies the audio signal after compression. I won’t actually go over implementing the delay itself since it is very straightforward (it’s just a simple circular buffer delay line). 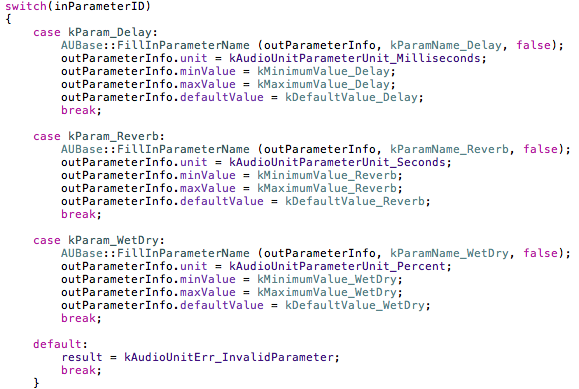 The one thing I will say is that if you want the lookahead time to be modifiable in real time, the circular buffer needs to be initialized to a maximum length allowed by the lookahead time (in my case 200ms), and then you need to keep track of the actual time/position in the buffer that will move based on the current delay time. // Delay the incoming signal for lookahead. That’s all there is to the lookahead, so now we turn our attention to the last feature. The knee of the compressor is the area around the threshold where compression kicks in. This can either be a hard knee (the compressor kicks in abruptly as soon as the threshold is reached) or a soft knee (compression is more gradual around the threshold, known as the knee width). Comparing the two in a plot illustrates the difference clearly. Hard knee in black and soft knee in light blue (threshold is -24 dB). float kneeWidth = threshold * knee * -1f; // Threshold is in dB and will always be either 0 or negative, so * by -1 to make positive. // Lerp the compressor slope value. // Slope is multiplied by 0.5 since the gain is calculated in relation to the lower knee bound for soft knee. // Otherwise, the interpolation's peak will be reached at the threshold instead of at the upper knee bound. Compressor with a threshold of -12.5 dB, 4:1 ratio, and knee of 0.4. Of course this also works when the compressor is in limiter mode, which will result in a gentler application of the limiting effect. Compressor in limiter mode with a threshold of -18 dB, and knee of 0.6. 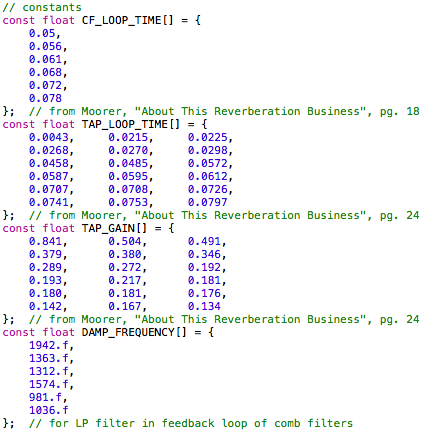 That concludes this series on building a compressor/limiter component. This entry was posted in Audio, Programming and tagged compressor, Csharp, delay, DSP, envelope, knee, limiter, linear interpolation, Unity on July 16, 2014 by Chris. Vibrato has always been an essential technique in making music feel more alive, rich, and full of expression. Whether it is string, wind, or brass players in an orchestra, a singer, or a synthesized waveform in an old 8-bit NES game, vibrato ensures those long notes and phrases connect with us in a more meaningful way by giving them character and shape. Unlike tremolo (which was the subject of the previous blog entry), vibrato modulates pitch, not amplitude, using an LFO. When generating a waveform using synthesis, this is a trivial matter as we have direct access to the frequency component. But with prerecorded audio, the vibrato effect is a achieved through the use of modulated variable delay. 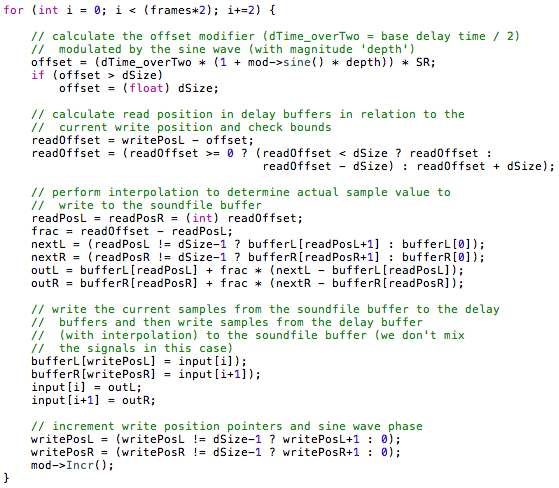 To better understand this, let’s start off by looking at a basic delay effect implemented in C++ code. offset = (delay time + sine wave(phase) * delay time) * sample rate. 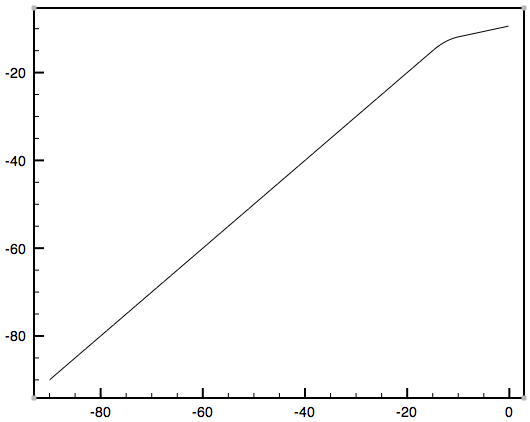 offset = (delay time/2 * (1 + sine wave(phase) * depth)) * sample rate. One other important element to discuss is the actual delay time used to generate the vibrato effect. I experiemented around with many values before settling on a delay time of 0.004 seconds, which is the value that we “delay around” using the sine wave. I found as the values got smaller than 0.004 seconds that the sound of the effect degraded, and actually resulted in some sample noise because the delay buffer became so small (nearing as few as only 30 samples). As the delay time increases, the pitch of the audio begins to vary so much that we actually lose almost all pitch in the original audio. 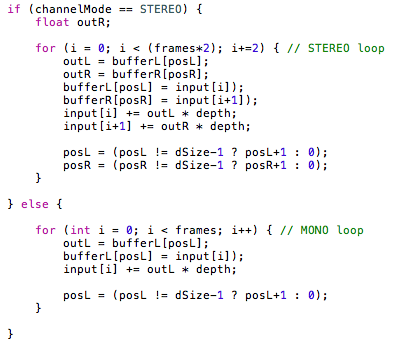 Here we can see that first we read sample data in from the soundfile and store it in ‘buffer’. Then the ‘buffer’ is passed, along with the LFO modulator, into the process that applies the variable delay (vibrato in this case), and this is then written to the output soundfile. The LFO modulator used for the vibrato is just a new instance of the oscillator class I developed for the tremolo effect previously. I just initialize a new instance of it for use in the vibrato effect, and done! This is an example of the benefits of object-oriented design and how adaptable it is. We’ll be seeing much more of this to come as well. 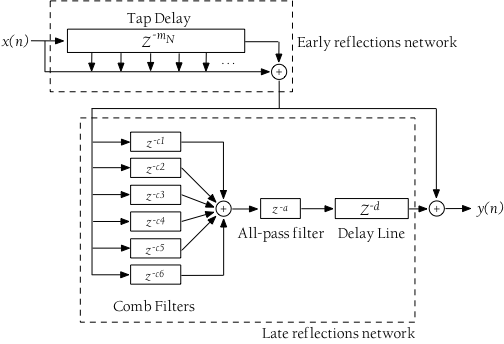 For example, it would require a few trivial code changes to set up multi-tap delays, each with their own depth, and even to incorporate filters into the delays once I get into developing them. And finally, allowing the use of envelopes to further shape these effects will be an important step to be taken in the future. With so many tantalizing possibilities, there’s no stopping now! This entry was posted in Audio, Programming and tagged C/C++, class, delay, DSP, frequency modulation, LFO, object-oriented programming, vibrato on May 1, 2012 by Chris.